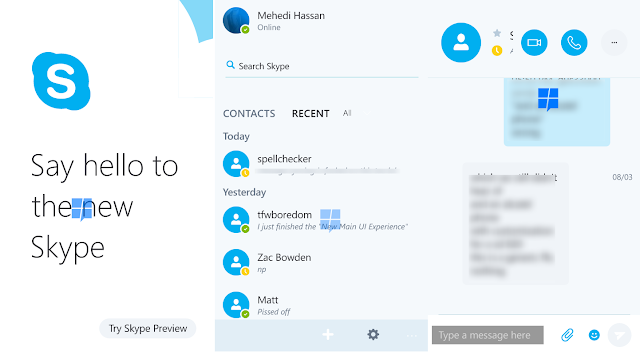 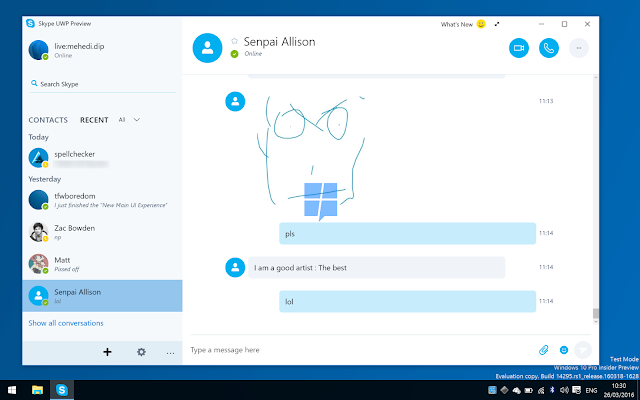 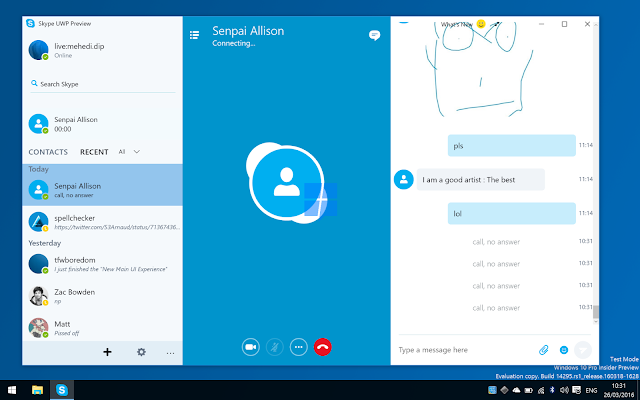 Few months back Microsoft revealed that They are working on new Skype Universal Windows App for Windows 10 PCs . 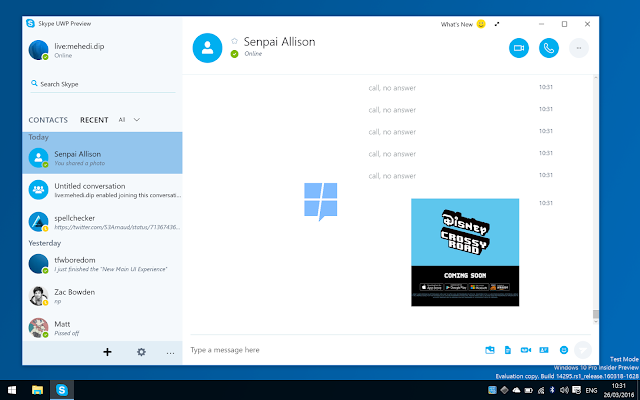 Mspoweruser got a chance to try The new Skype Application . 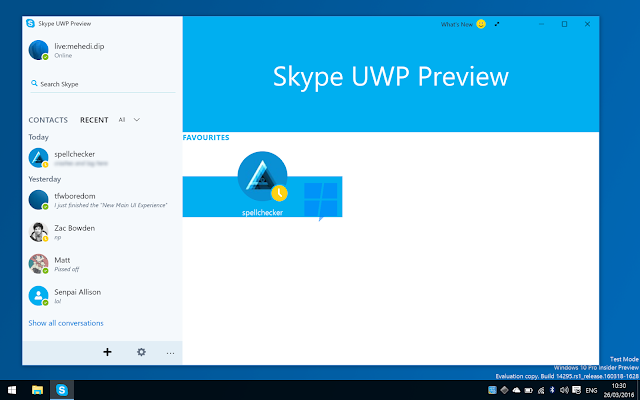 Skype UWP app will be available for Windows 10 PC as well as Windows 10 Mobile .